With almost a million Filipinos living in the UAE, it is not a surprise to have so many Filipino restaurants catering to Filipino taste in the country. Whichever Emirate you live in, there is always a Filipino restaurant that you can run into when you don't feel like cooking or just having a craving. We haven't been to every one of them yet but we've been to many. I know that we all have different taste in food. What's good for you might not be good for me and vice versa. But my family and I, we aren't hard to please. We do love good Filipino food and the more authentic it gets, the better. There are those that make the mark and there are those for some reason, we don't think we will ever visit again. And just like you, we also have our fair share of favorite Filipino restaurants, mainly in Dubai where we work and in Sharjah where we live. It is really hard to pick the best because each one has a distinct charm so I'll just share them in random order. Max's is our first restaurant choice whenever we crave for homestyle fried chicken and delicious Filipino food. It is a good place to celebrate special occasions because you know you can never go wrong with Max's Fried Chicken, they have great tasting foods here, always a hit. 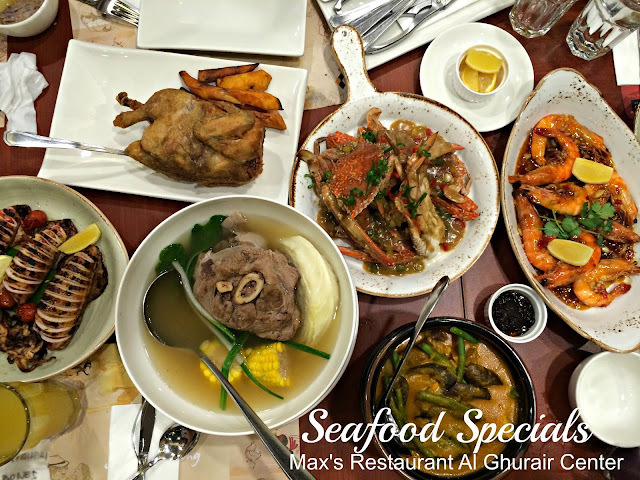 Some of our favorites are Max's home-style fried chicken, crab meat fried rice, kare-kare, prawn in alegue, sizzling tofu, inihaw na pusit and beef sisig. For dessert, we always order their Max's dessert sampler with buko pandan, ube creme decadence, leche flan, and cream cheese brownie. Ube roll is our favorite Max's cake. Who doesn't remember the epic queuing when Jollibee opened in Dubai Mall. Due to its success, now the company is aggressively expanding, with a target to open 32 stores in UAE by 2020. Jollibee food is Filipinos ULTIMATE comfort food. Do I need to say more? By the way, when are we going to have palabok here in Dubai? Before the boom of Pinoy themed restos whether homegrown or not, Chowking is already the King of Filipino food in Dubai. They are the pioneer of the Asian quick service restaurant concept in the Philippines. Its first branch opened in Dubai in 1998 and now has 13 branches around the city. The dishes we love and order most of the time includes Lauriat meals, siopao and siomai, halo-halo, chao fan and a lot more. Before Jollibee came to Dubai, Chowking's Asian style fried chicken was our fried chicken fix and we still have it when we eat at Chowking. What's funny is why I couldn't find any photos of my Chowking meals. I probably didn't care to shoot, I just ate. My personal favorite meal and the first I've tried when they open the branch in BurJuman was their Smoked Golden Tinapa. It is included in their breakfast meal but available throughout the day. Their fried chicken has a unique taste, it has a hint of wild lime known to us as calamansi. This made the dish distinctly Pinoy. Other than pancakes and waffles that they are famous for, they have a wide variety of dishes that we still want to try. Shakey's chicken 'n mojos and thin-crust pizzas are delicious. We were invited to the grand opening of their first branch in Dubai but was not completely satisfied with the experience. 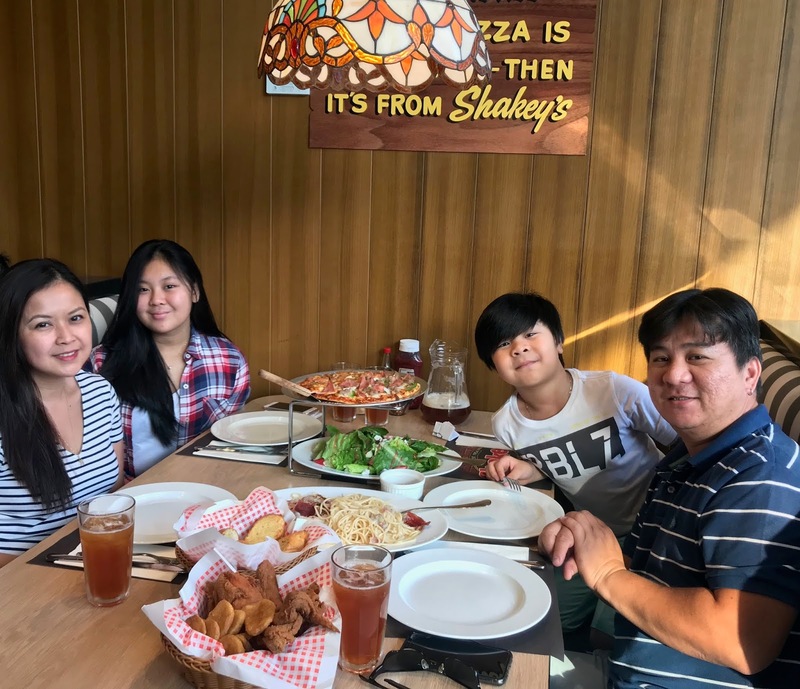 Having dined at Shakey's in the Philippines many times before with happy memories I must say, we have no doubt that it was just due to an overwhelming number of guests during the event. As promised, we went back with the kids, ordered up a storm and went home happy and sated. The kids didn't go home without ringing the bell to show their satisfaction of course. I haven't been to Gerry's Grill in a while but I would love to dine there again. Gerry's Grill offers Filipino and Asian specialties served in a family-friendly setting with occasional live music performances. I'm currently craving for their grilled dishes. Inihaw na pusit and inihaw na manok, seafood rice, crispy tadyang ng baka (beef ribs) and leche flan. My mouth waters just by thinking about it. Tagpuan is a special place for me and Ferald. It is where Ferald and I used to have dinner after church mass every Friday when we were still dating back to 2003. Even until now, we still frequent the restaurant with our kids. Our favorites are Special Pancit and Sizzling Bulalo Steak. We also frequent their Al Wahda branch for turo-turo viands. Lamesa Restaurant is Asiana Hotel's all-day dining restaurant. It offers amazing Asian dining experience with warm and cozy ambiance. They have a lavish spread of Filipino dishes as well as Korean, Chinese, Japanese and Thai. It is a great place to dine with family and friends. It is also where you will find amazing Filipino pork dishes. Yes, they serve pork here. In fact, one whole section is dedicated to pork dishes alone. The pork section has sisig, Lechon kawali, crispy pata, pork humba, pork barbecue, dinuguan, and sinigang. The buffet is priced reasonably and you'll definitely get the value for your money. Little Manila is a one-stop shop for all our favorite food. Zagu, Binalot, Jay-J's Inasal, Bread Shop and House of Lechon Manok to name a few. We love their sizzling deals and boodle fights too. We've only eaten at Carinderia ni Tandang Sora twice but their food is family approved. Definitely one of those restaurants I will visit on a whim. Their boodle fight plates are highly recommended. This restaurant belongs to Salt n Pepper restaurant group. It is located on the 2nd Floor of Madina Mall in Muhaisna. We always pass by this road on our way home so the location is very convenient for us. We discovered this gem of a restaurant by accident and since then, we became a regular. We even ask them to cater for us twice, for the kids birthday parties. They have a buffet every weekend starting Thursday. We come here mostly for Loming Batangas instead of pizza. 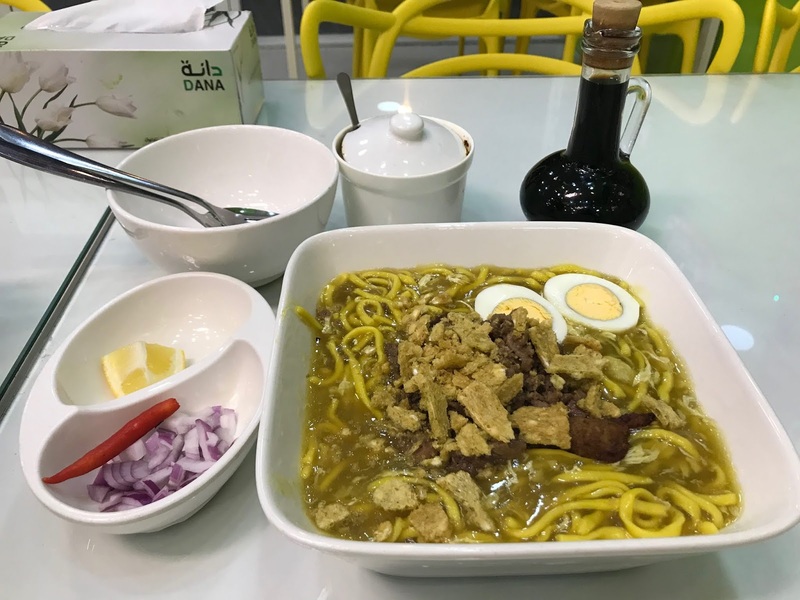 They have the tastiest and most authentic Batangas lomi in Sharjah. The best thing, they are open until 3 am daily. They also serve other Filipino dishes like tapsilog and sweet and sour prawn, my kids order these dishes most of the time if they are not craving for pizza. We usually order the Jumbo Lomi which is good for two, served with pandesal and iced tea. I only go to Pita for their Pinoy style cheesecake priced at AED 100/cake. It is something I can highly recommend. To be honest, we haven't given their food a second try since our first but I saw them renovate the place so maybe it is time we should. When you are in Ras Al Khaimah and are looking for a good Filipino restaurant, make your way to Mang Aryeseos Bulaluhan. Highly recommended. The food here is delicious. The staffs are friendly and the place is clean and tidy. The walls were adorned by the owner's sporty adventures in the city. The bulalo we ordered was nice and warm, with soft juicy and tender meat, the bbq chicken and bbq chicken liver were just like Pinas. It gets packed at lunchtime so make sure to come in early. There you go! These are some of the Filipino restaurants that is MYB approved. Happy eating! Will update when we have new finds. I learned that the Dubai Mall branch is now closed (sad, I know) but you can still enjoy their delicious food at The Walk JBR branch. Every time Ferald and I open our Instagram accounts, we are always prompted with photos of mouth-watering and juicy looking smoked meat, burgers filled with slices of beef brisket piled high and delicious looking beef ribs soaking in barbecue sauce. Each time, we were like "okay we got to have that and that too, also that one," while checking the photos one by one for who knows how long. Lol!!! Those pictures were posted by Mighty Quinn's, a highly-celebrated BBQ chain in New York who now have two branches in Dubai. They are located at the Duba Mall inside the Souk, ground floor parking 3 cinema parking and the other, in JBR. With all the hype and the good things we heard about this joint, we decided to check them out. It was lunchtime in the middle of a work week when we went there to eat. I jokingly thanked my husband for renting the whole restaurant to ourselves. It is usually crowded when we pass by it at night and/or on weekends. The restaurant interior has all that industrial vibe. Wood and steel dominate the furnishings and decorations. Very casual and relaxed. And very manly. It's awesome really but our eyes were fixed on their 16-22-hour smoked meat cooked the old school way, with lots of wood and plenty of time in the smoker. It is what really makes it special. For starters, we had some nice and crunchy Onion Rings (AED25). It's one of my favorite starters, it simply livens up a meal. For the main entry, we ordered the Mighty Trio Platter (AED129) as recommended by our server. It comes with slices of beef brisket, BBQ chicken breast, and lamb ribs but we omitted the lamb and replaced it with more beef brisket instead. The beef brisket is fork tender and cooked perfectly. It is even more delicious doused with their special bbq sauce. I like that they serve it with some freshly pickled salad on the side. The chicken, on the other hand, was flavorful as well. This order comes with one side dish and we opted for the baked mac and cheese which was excellent. We wanted to try their burgers too so we asked for the Brisket Sandwich (AED 75). Sliced in half to share. I couldn't finish my burger just because I was already full from all the beef brisket I had but it was really yummy with the flavor hugged together by the jack cheese and spiced up by the slices of jalapeno peppers. We thought that the beef brisket portions were small but it was really filling, trust me. Coming in hungry is highly recommended. Lols!!! And because it was our special day, we got dessert to cap off our lunch. Blueberry cheesecake courtesy of Mighty Quinns. Thank you. What I didn't know, it came in with a surprise from my love and partner. Thanks love! Our overall dining experience at Mighty Quinn's Barbeque at The Dubai Mall was great. Service was excellent, food was delicious and the staff is friendly and well informed. Price as expected. We are definitely going back. The week before I got sick almost two weeks ago, I was on a ketogenic diet. I craved for pizza but couldn't eat a regular pizza because I was trying to reach ketosis. When I went to see the doctor, he said the space between the L4 and L5 of my spinal segment is smaller than usual causing the disc to bulge touching the nerve roots. This is what causes the tingling sensation, pain and a bit of numbness in my lower back and left leg. This condition is called sciatica. Common among people working longer hours sitting. I was given medications to be taken morning and night after food. Was taught how to exercise my back to open the spine and release the pressure on the disc. Then there goes my vitamin D deficiency and some infections here and there. In short, I am not on diet right now. I am eating normally but as healthy as possible. I am very careful not to gain back all those pounds I've already lost. The good news is, I am almost done with all my medications and feeling much better now. Hoping to get back to eating low-carb after this. 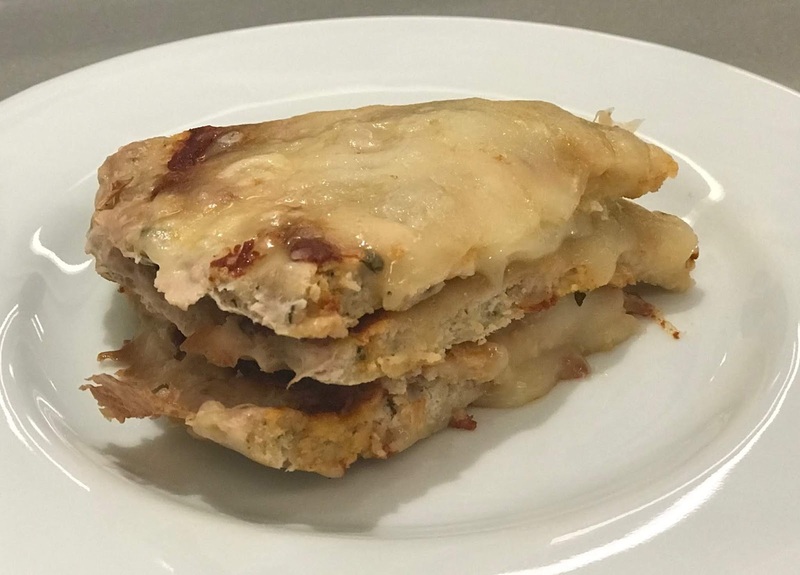 Going back to that pizza craving, I tried making another keto recipe. It is called Chicken Crust Pizza. It is easy to make and it tastes good too. I am going to make another batch of this soon. It is great for kids packed lunch too. You can even eat it with rice, my daughter did. 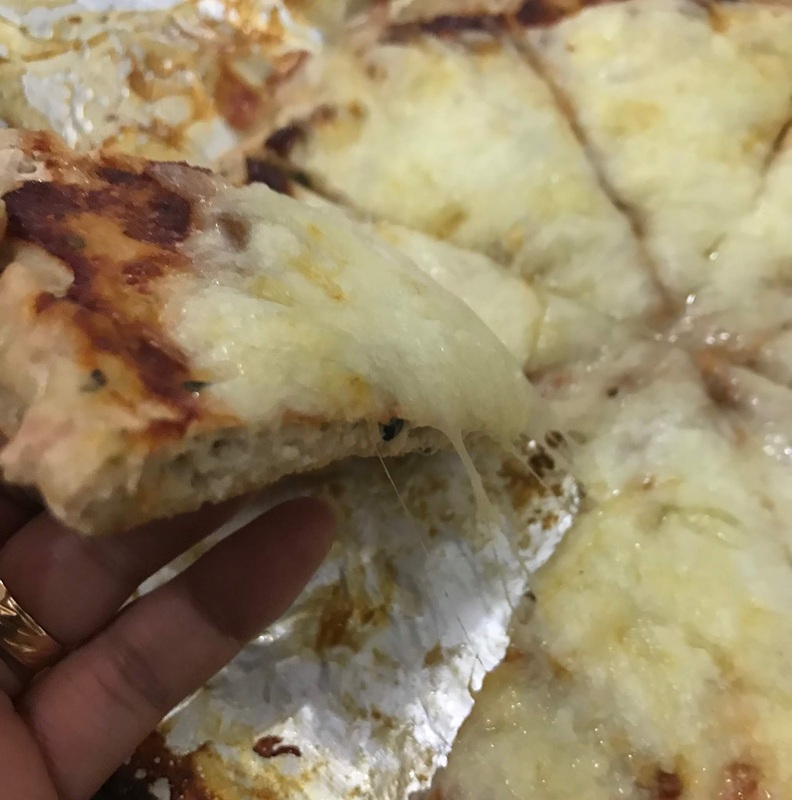 I am sharing this recipe with you and you can make it if you are craving for pizza but couldn't compromise your diet just because you are having a craving. 2. Add the ground chicken, cheese, Italian seasoning and salt to a bowl. Mix thoroughly with your hands. 3. Pour the mixture on a piece of parchment paper and spread into a pizza shape about 1/2 inch thick. 5. Remove from the oven and add your favorite pizza toppings. I added pizza sauce and more cheese. 6. Bake for an additional 10 minutes. Remove from the oven and cool slightly. Slice and serve. My officemates and I had this crazy craving. We all want to eat cheesecake but doesn't want all the carbs in it. To satiate our cravings, we decided we'll make crustless keto cheesecake in coffee mugs for dessert, to be eaten after our office lunch or during our tea break. 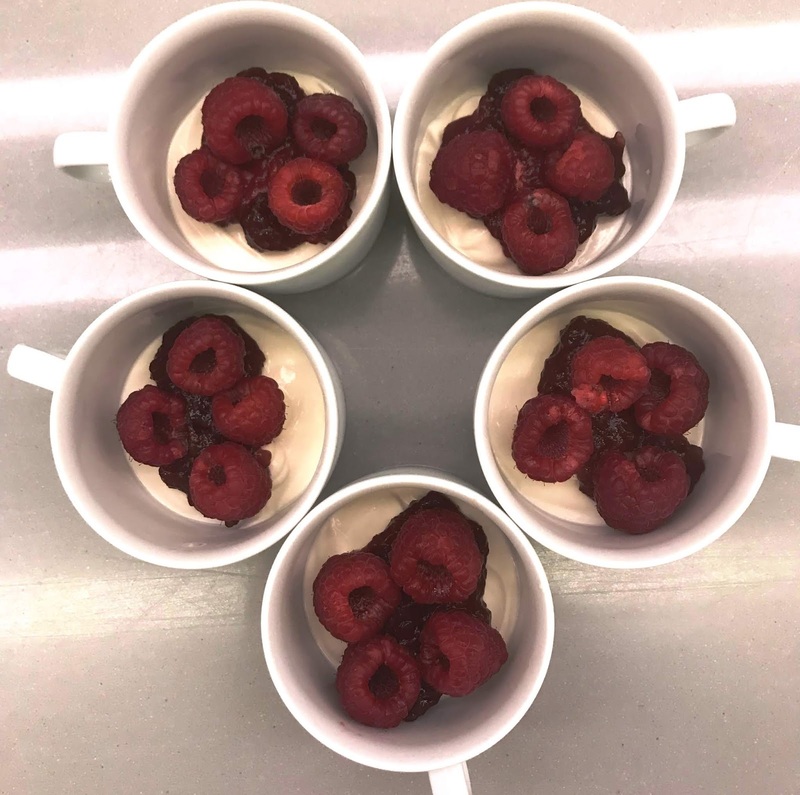 The keto cheesecake recipe was courtesy of my colleague's friend doing the ketogenic diet like us. It is a no-bake recipe because there's no crust. It was very easy to make and it tastes so good sans the guilt. If you have a microwave and fridge in your office pantry and an hour lunch break, this recipe is for you. It only takes less than 10 minutes to make. 1. 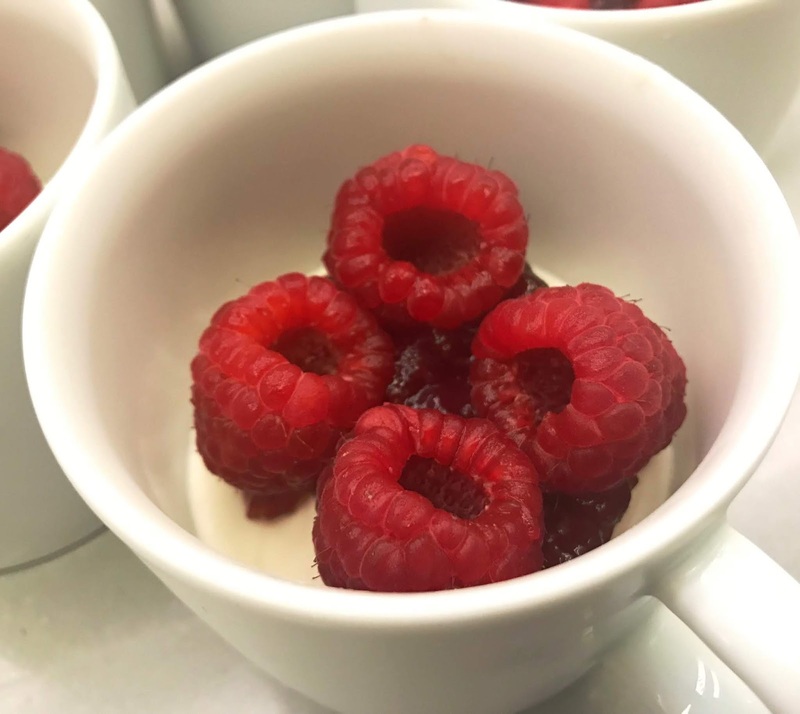 In a bowl, mix cream cheese, labneh, cooking cream, stevia, and lemon juice. 2. Mix it until incorporated. 4. It will soften a bit. Mix it once more and divide into coffee cups. Since we are five, each got 2 1/2 tbsps of cheesecake filling. This recipe serves two or one if you don't want to share. Lol! 5. Place the cups in the fridge and chill for two hours or until it sets. 6. 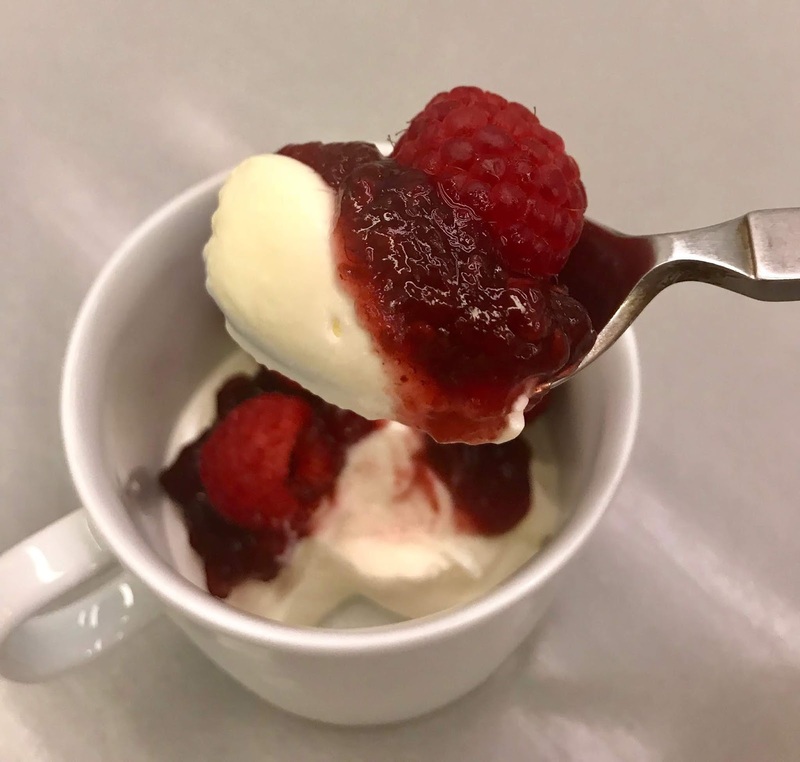 Top with raspberry jam and fresh raspberries. We grow each year and having family photo captures how we look at that particular year. Doing it every year or once in two or three years will show how we have changed over the years. Throughout our lives, we will pass quite a lot of milestones and wouldn't it be nice to remember them all through photographs. When our kids are newborn or when they enter kindergarten or graduate college. Kids grow up too fast while on the other hand, the parents grow old. Life happens and even we may not want to admit it, the make-up of the family can change without warnings. Photos also bring us back in time. It is a great way to reminisce. Wouldn't it be nice if you have family photos to show your children or great-grandchildren? My sister has been doing this practice for many years for her own family, I did it twice and I will continue doing it every now and then. Remember the photoshoot we had before. Last year was our family reunion and we took advantage of it capturing beautiful images we can look back after a few years. Emam Concepcion with Benjo, Erin, Claire, Faith, Lanna, and Prince. We missed Dinoh here but we hope he can join us next time. Don't wait for the right time because there is no such thing. A moment gone is lost forever. If you have the chance, grab the camera, put on some coordinated clothes and shoot away. You can also have it done professionally with many studios providing such service. Thank me later. You're welcome! Same time last year, I was already counting down the days to my vacation. But now, all I can do is wait and be patient. At least for a few more months. Not that I'm complaining. I am actually thrilled that we will be spending Christmas and New Year in the Philippines again with our family. I just can't wait to go as if my body clock has set this time as a vacation time after two consecutive years of going in the same month. If only I can drag the days faster, I would. My kids (well we) are missing everyone and we can't wait to see all of them again. This was taken in a private resort we rented for a day in Pansol, Calamba Laguna, (where hot spring resorts are famous), while we were having lunch-boodle fight style at the rooftop (3rd floor) of the resort. We had the whole resort to ourselves. It was like a vacation house with five or six air-conditioned rooms with ensuite toilet and shower. It has a swimming pool, kitchen with stove and fridge, shower room, videoke machine, billiards table and a grill. All you have to bring is food, refreshments and loads of fun. There are many private resorts in this area but to be honest, I couldn't remember the name of the resort we rented, it was my sister-in-law who did the booking for us. What I do remember is that we paid half the price because it was off-peak. And yet we enjoyed the same amenities and the same incredible views. Not all of the private resorts in Pansol have hot springs, most of them have private pools. If you are after dipping in a real hot spring pool, make sure to check with the resort if it is available. If you are looking for a place to take your family around Calamba Laguna, this is still a very good option for a day of bonding. We had a good time here, I'm sure you will too. Sharing with you some more of our photos in the resort with my husband side of the family. We really miss everyone. We hope to see you all very soon. If you are wondering, we got the crabs from here. We spotted the stall on our way to buy some fresh fruits. and the fresh fruits were from here.